What is a “Continental Divide”, you ask? The dictionary definition is: “The dividing line for a continent that determines into which ocean precipitation will eventually flow.” Basically, to which ocean will all rivers and streams run. The first time I crossed the Continental Divide (and noticed) was years ago, going through the Crowsnest Pass (for more on the Crowsnest, see blog February 3, 2013), between B.C. and Alberta. Having lived my whole life on the west side, where the watershed runs to the Pacific Ocean, I was stunned to see the water running the other direction – it looked like it was running uphill!! But that’s the Rocky Mountains…what’s in Minnesota? So, I looked it up – and probably most of you (or, at least some of you) know this, but if I knew it, I’ve forgotten. 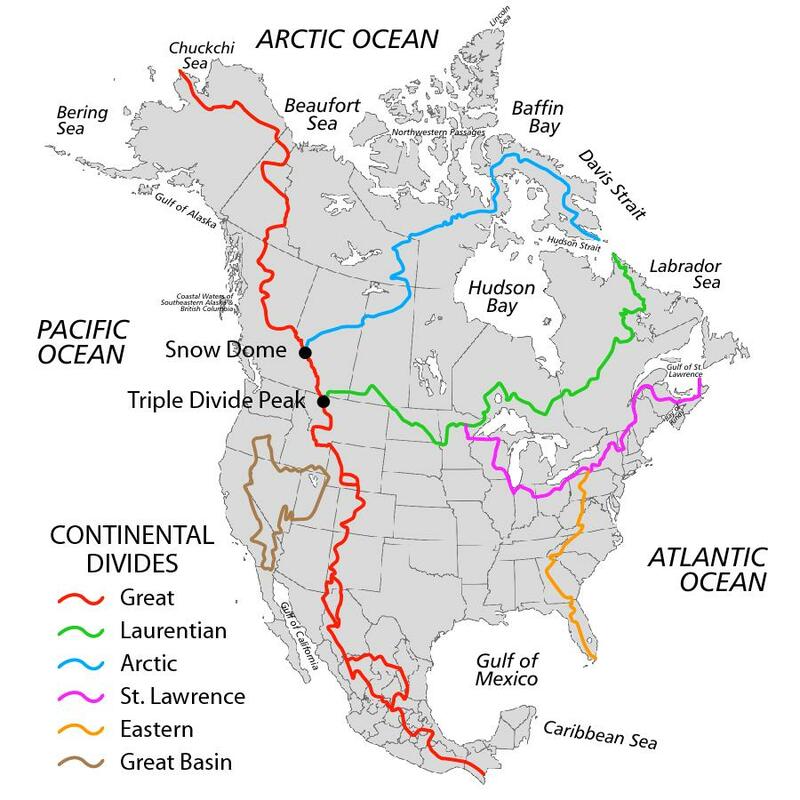 The Continental Divide in the Rockies is The GREAT Divide (of course it is) which separates the watershed between the Pacific and the Atlantic (including the Caribbean Sea and the Gulf of Mexico.) The Great Divide runs from all the way from northern Alaska to Patagonia and Tierra del Fuego, following the mountain ranges of The Rocky Mountain Range AND the Andes!!! the Arctic ~ which meets the Great Divide at Snow Dome (which is a mountain in the Columbia Icefield (future blog), on Alberta/British Columbia border) to the Oikiqtaaluk Region, Nunavut, at the Hudson Strait. The watershed runs north to the Arctic Ocean and south to the Pacific and Atlantic Ocean. the Eastern ~ runs from the north of Pennsylvania, to the southern tip of Florida, and follows the Appalachian Mountain Range from Pennsylvania to Georgia. 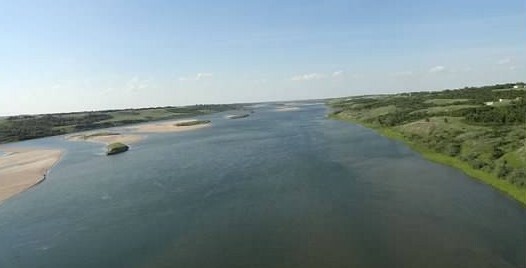 The watershed runs either into the Gulf of Mexico, the Atlantic Ocean or the Gulf of St. Lawrence. Every continent except for Antarctica has a continental divide. Huh. I learned more than I expected this time. How about that! OK! Sunday, on to Fernie, British Columbia.